Photo enhanced by Rodolfo, professional photographer from Brazil. 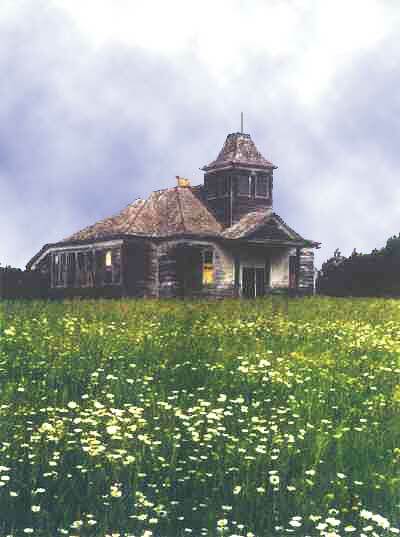 This abandoned country schoolhouse represents a piece of rural America that is fading from the scene. The outhouse is already gone. 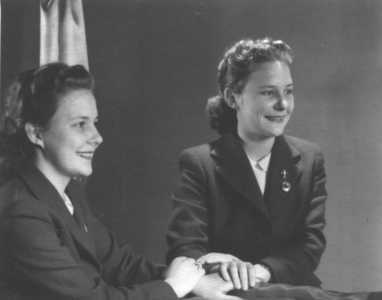 Betty Wall and Lois Hagman, The Nickander Twins, attended school here. Did you? Tell us about it. 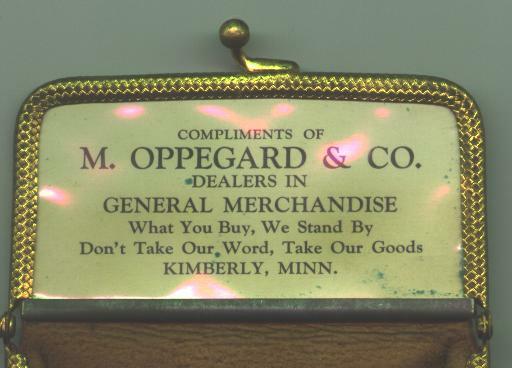 Kimberly never lost a ball game! 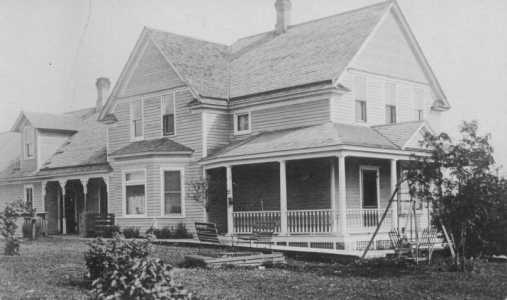 Randy's family occupied the house for twelve years. As babies, they were called "LoloBett"
It was a tie that year! 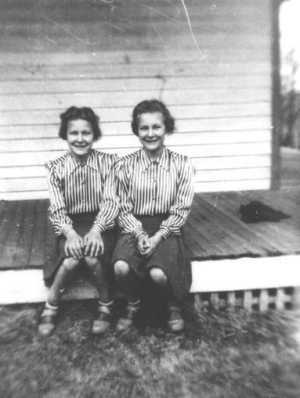 This photo, "The Mirror Twins," was taken for the Gambles Stores. 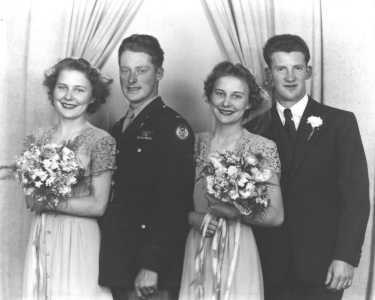 Lois Elaine Nickander married Willard Magnus Hagman and Betty Jane Nickander married Calvin Edward Wall, her high school sweetheart, in a double cemetery on May 26, 1945, at the Kimberly Church. They had their 50th anniversaries in 1995 and are still going strong today (2002). Both couples still live in the area today. Betty and Cal are Randy's parents. He says, "I had two mothers when I was growing up!" Matt and Ida at top. 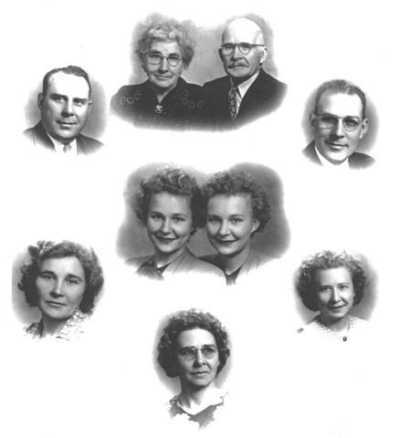 Clockwise: Bert, Nicky, Alfhild, Isabelle, Carl. 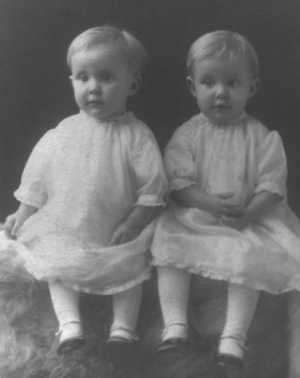 The Twins, Lois and Betty, are in the middle. "My father, John A. Perkins, was born and raised in Kimberly. His father, John A. Perkins Sr., owned an auto mechanic shop that was located across from the Depot until it burned down. 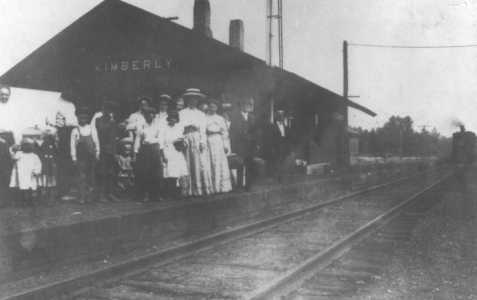 He was also a railroad worker. 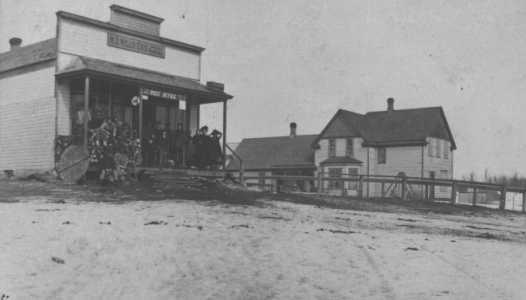 My grandmother's name was Bertha (Hinton) Perkins and their house was located on a hill behind the old schoolhouse."